Dr Nick Tate is Director of the Australian Government's Research Data Storage Infrastructure (RDSI) project which is based at The University of Queensland (UQ). RDSI is a $50m project funded under the Super Science initiative which aims to transform the storage of research data throughout Australian universities and research institutions. Prior to this role, he was Associate Director of the Australian Research Collaboration Service (ARCS) which developed and deployed cloud computing and cloud storage services for researchers across Australia. These cloud services integrated with, and took advantage of, the federated identity services of the Australian Access Federation (AAF). In this role, he was based at Queensland University of Technology (QUT). He was previously both IT Director at The University of Queensland and the Director of the Australian Computer Emergency Response Team. 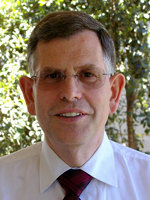 He is also a Director of Higher Ed Systems Pty Ltd, National Treasurer of the Australian Computer Society (ACS), Chair of the eResearch Australasia Conference and was Chair of the World Computer Congress in 2010. Prior to UQ, Dr Tate worked on anti-missile missile systems for Royal Navy Warships, before spending 20 years working for investment banks in London and Sydney; most recently for Macquarie Bank. 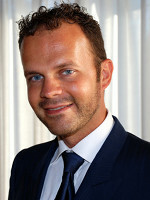 He has over 16 years' experience at CIO level and was Head of IT for the United Bank of Kuwait in London. Dr Tate holds a degree in physics from the University of St. Andrews in Scotland, an MSc in Computer Science and a PhD in IT security. He is a Chartered Engineer, a Chartered IT Professional and a Fellow of both the Royal Astronomical Society and the ACS. 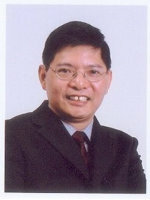 Mr. Dickson Wong is the Corporate Information Security and Privacy Officer (CISPO) of the Hong Kong Hospital Authority. He has joined the Hong Kong Hospital Authority since 2008 to provide strategic advice and management on the information security and privacy in public hospitals. 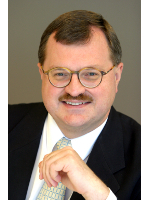 His primary responsibilities include establishing the Information Security and Privacy Organization, development of the enterprise Information Security strategy and policies, advice on the safeguards of patient data privacy, conduct security risk and privacy impact assessments, and enhancing the culture on Information Security and Privacy. Prior to the CISPO in the Hospital Authority, he held senior position in IT Security and Risk management of the largest smart card payment system in Hong Kong. He is a CISSP and has vast experience in Information Security, as well as compliance to the Personal Data (Privacy) Ordinance in Hong Kong. 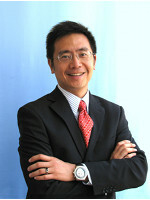 Dr. Andy Chun, is currently the Chief Information Officer and an Associate Professor with the Department of Computer Science at the City University of Hong Kong. 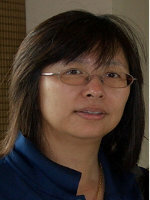 Dr. Chun has over 25 years of IT experience and is a passionate technologist. He also specializes in Artificial Intelligence research, focusing on enterprise optimization and scheduling. Dr. Chun has applied his AI knowledge to help many organizations in Hong Kong optimize operations and improve quality of service. His AI work has been awarded numerous IT awards and recognitions, including the Innovative Applications of AI Award from the Association for the Advancement of AI, as well as an IT Excellence Award from the Hong Kong Computer Society, and an Asia Pacific ICT Award in 2005. In 2009, he received the "Outstanding IT Achiever Award" from the Hong Kong Computer Society. He was also named one of the 2010 Top 5 CIOs in the Greater China region for using technology to bring about transformational change. Dr. Chun holds a B.Sc. from the Illinois Institute of Technology and an M.Sc. and a Ph.D. in Electrical Engineering from the University of Illinois at Urbana-Champaign. Ms. Clara Ho is the Regional Head of HSBC Security & Fraud Risk managing the information security risk for HSBC on the technology and operation fronts in the Asia Pacific region. She is one of the key leaders in HSBC to formulate, drive and implement policies, standards and solutions on information security for all information assets of the bank in the region. Prior to this role, she was the Regional Head of HSBC Technology Services on IT Security, leading a team of IT experts to advise and manage security technology and architecture. Mr. Vincent W.C. Leung is the Enterprise Architect of Cathay Pacific Airways contributing to the evolution of the information security architecture and the security strategies in supporting the business goals and objectives of the company. Before starting to work as an Enterprise Architect in the year 2000, he was a business analyst in Cathay Pacific Airways for ten years. As a business analyst, he had responsibility for the enterprise passenger services systems. 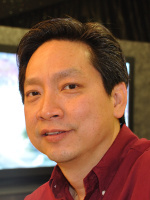 Mr. Leung has a long history of enterprise architecture development and information security management. He has in-depth understanding of technologies that are relevant to information security - firewalls, anti-virus software, intrusion prevention systems, public key infrastructure, etc. 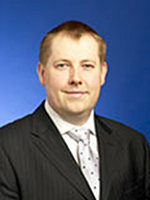 Mr. James McKeogh is a Senior Manager in KPMG International and is Head of Information Security and Privacy in the Performance and Technology Practice. Mr. McKeogh has over 14 years' experience in the field including three years as Head of Technology Security for Barclays Wealth where he was responsible for establishing and promoting the Bank's strategic direction for information security. Mr. Paul Jackson took on the role of Asia Pacific Regional Fraud and Cyber Investigations Manager of J.P. Morgan Chase Bank, N.A. in August 2010. This involves management of investigations on behalf of the Firm in aspects relating to financial frauds, digital forensics analysis and computer security incidents. Prior to this appointment, Mr. Jackson was a member of the Hong Kong Police Force since 1988, and has been involved in technology crime related policing since 1997, with his last role being the Chief Inspector in charge of the Force's digital forensics laboratory. 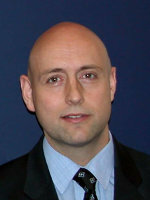 Mr. Jackson was the President of the High Technology Crime Investigation Association (HTCIA) Asia Pacific Chapter from 2008-2009 and is Vice Chairman of the International Organisation on Computer Evidence (IOCE). He is an Appointed Professor with the China Institute of Defence Science and Technology in Beijing and is a member of the Consultant Committee of China Computer Forensics Research Centre. He was also recently invited to be an honorary advisor to the Hong Kong Police College. Paul Kangro, Chief Technology Officer - APAC, is responsible for providing technical leadership with regard to Novell's products and solutions to the market-place and working closely with product development to ensure market needs are meet. Paul also provides direction to major companies on strategic choices of data centre technology, including consolidation, DR and orchestration. During Paul's eight years with Novell he has been instrumental in the introduction of Novell's Linux product portfolio into the Asia Pacific Market and is a regular presenter at industry and tradeshows. Prior to joining Novell in 2000, Paul spent 16 years in technical, sales, marketing and management assignments. The majority of his time was at IBM, Paul has also worked for Cable & Wireless Optus and Nortel Networks in technical, marketing and project management roles. Paul studied Electrical Engineering at the University and New South Wales and holds a Post Graduate Diploma in Marketing Management and a Masters of Management from the Macquarie Graduate School of Management in Sydney. Dr. Meng-Chow Kang is the Director of Information Security of Cisco Systems, Inc. for the China and APJ regions. 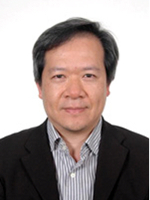 Based in Shanghai, Meng-Chow has been a practicing information security professional for more than 20 years, with field experience spanning from technical to management in the various security and risk management roles in the Singapore government, major multi-nationals financial institutions, and security and technology providers. In August 2005, Meng-Chow received "IT Evangelist of the Year 2005" accolade presented by the Singapore National Infocomm Competency Council (NICC) in recognition of his work and contribution to the IT security community and standards arena. Meng-Chow was also the recipient of the "Distinguished Award" and "Distinguish Partner Award" from the Standards, Productivity and Innovation Board (SPRING Singapore) in September 2005, and August 2008, respectively, for his continuous efforts and leadership in shaping the IT security standardization landscape in Singapore. Meng-Chow's contribution to the information security professionals development in the industry was further recognized in July 2010 by (ISC)2 with the presentation of the (ISC)2 President Award 2010. Meng-Chow received his MSc degree in Information Security from the Royal Holloway and Bedford New College, University of London, and completed his PhD in Information Security Risk Management at the Southern Cross University, Australia. He has been a Certified Information Systems Security Professional (CISSP) since 1998. Chester Soong is the Managing Director of Security Consulting Services Ltd. The company focuses on providing leading edge Internet and information security consulting services. He was formerly Director of Certification Services of (ISC)2 and still serves as their member of the Asian Advisory Board and CBK Committee. He started his own ISP outfit back in 1994, and was working for Citibank N/A as a Project Officer before that. Chester graduated from California State University, Fullerton with double majors in Information Systems and Finance. He was certified as CISSP in 1997; the first to pass the CISSP exam in Asia. Chester is a frequent speaker at various regional conferences and exhibitions on the topics of IT development and information security. He is a member of Information Security Working Group of Office of the Government Chief Information Officer and technical advisor (Information Technology and Communications) to the Employees Retraining Board of HKSAR Government. He is an active member of the HTCIA Asia-Pacific Chapter and Information Security and Forensics Society (ISFS) locally in HK. He was Chairman of the HKISP Association and helped in liaising with local and international LEAs relating to cybercrime in Hong Kong. Mr. Stephen K.M. 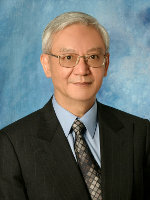 Lau, President of the Hong Kong Computer Society (HKCS) and Adviser to HP Enterprise Services (previously Chairman of EDS Hong Kong), was the first Privacy Commissioner for Personal Data in Hong Kong (1996-2001). Mr. Lau has 30+ years' experience in the information technology and banking industries in both the government and private sectors where he held a number of senior management positions, including Head of Operations and Technology for Citicorp Asia Pacific, President of North Asia for EDS, and Department Head of the Hong Kong Government Data Processing Agency. Active in community affairs, Mr. Lau holds chairmanships/ memberships of a number of advisory committees of the government and universities. An Adjunct Professor and Chairman of the Advisory Committee of the Department of Information Studies at the City University of Hong Kong, he was, in 2006-2009, the elected Chairman of APICTA (Asia Pacific ICT Alliance), an umbrella organization of 16 Asia Pacific economies which hosts the annual Asia Pacific ICT Awards to recognize the best-of-the best ICT products and applications in the Asia Pacific region. A founding Member of the Greater China Project Management Advancement Committee (GPAC), he was, in August 2008, appointed a Member of the Multistakerholder Advisory Committee of the UN's Internet Governance Forum. In 1984, Mr. Lau was awarded Member of the British Empire (MBE) for his outstanding service to the Hong Kong Government and the community in the area of information technology. In 1986, he was made a Distinguished Fellow of the Hong Kong Computer Society. In June 2001, he was made a Justice of Peace in Hong Kong. 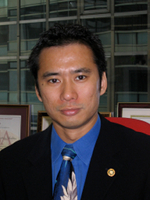 In 2009 he was elected a Fellow of the Hong Kong Institution of Engineers. Mr. Lau has a bachelor's degree from the University of Manchester, a master's degree in computer science from the University of London, and has completed a senior executive program at the Harvard Business School. Mr. Simone Brunozzi is a truly passionate technologist, involved in IT and computing since an early age. He joined Amazon.com in March 2008 and took up the role of Amazon Web Services Technology Evangelist for Europe to raise awareness about Cloud Computing and help developers build applications. In January 2010 he relocated to Singapore, becoming the first AWS Technology Evangelist in the Asia Pacific region. A popular speaker to major conferences all over the world, Mr. Brunozzi has, since 2008, been invited to speak for more than 260 events in Europe, United States, Asia and Oceania. Mr. Lam is a member of the senior management of the Office of the Telecommunications Authority (OFTA) of the HKSAR Government, which is the telecommunications regulatory body in Hong Kong. OFTA issues operating licenses for carriers and value added services. It also performs spectrum management and sets standards for telecommunications equipment. Mr. Lam is an engineer by training. He has over 30 years of experience in the telecommunication field. His main responsibility areas at OFTA include telecommunications standards, trade-in-service, anti-spamming regulations and external relations. Mr. Lam has been participating in the telecommunications regulation/deregulation process in Hong Kong since 1980's. He has been involved in a number of telecommunications policy formulation and implementation concerning price-cap, telecommunications market liberalization, numbering plan, fixed mobile convergence and spectrum auction.